My Grandmas Garden has a new addition to her garden, Dinosaur Kale! 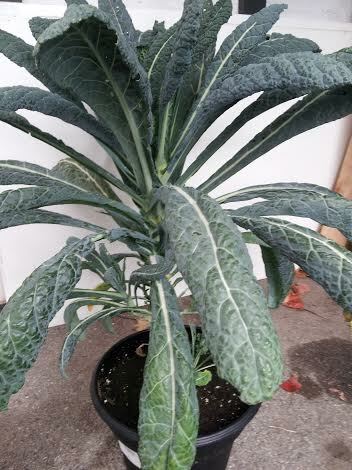 The leaves on this kale are green, long, and have wrinkled leaves. This is a very sturdy kale, and the mild flavour gets sweeter tasting after a frost.